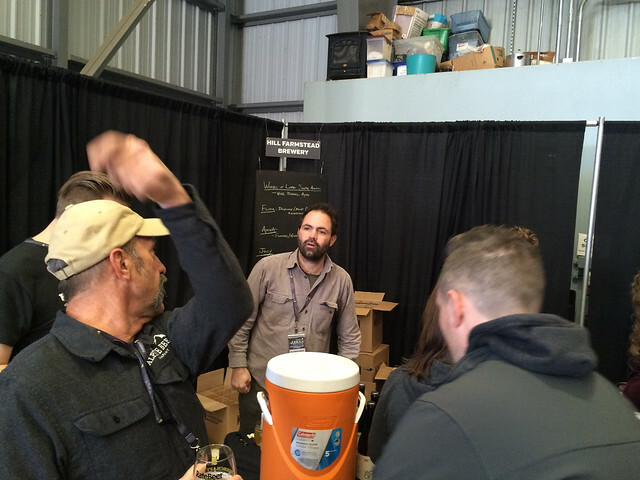 Today is the 39th birthday of Shaun Hill, who founded the Hill Farmstead Brewery. After learning to homebrew, he took a job at a local brewpub, the Shed, and eventually became its brewer. After a stint brewing in Copenhagen at Nørrebro Bryghus, he returned to his hometown of Greensboro, Vermont and founded his brewery in 2010. 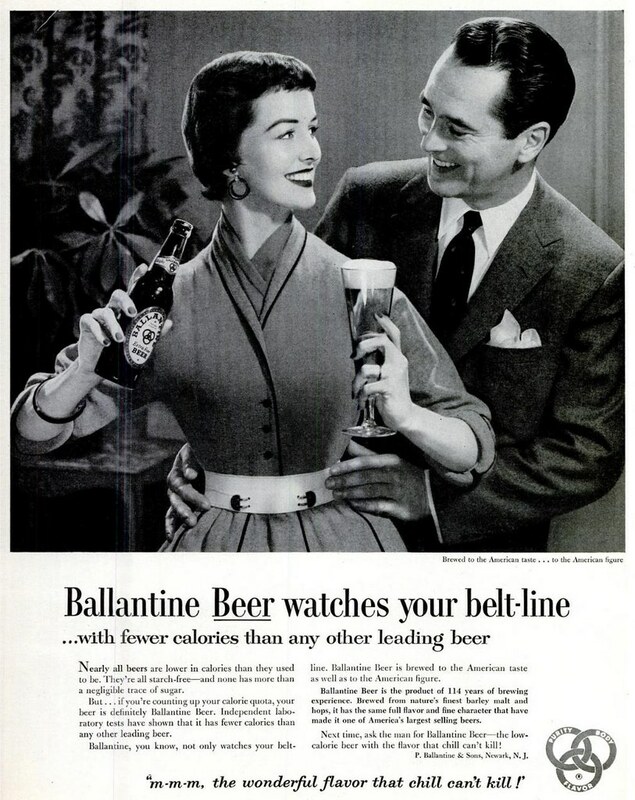 His brewery and beers have gone on to win many accolades. Certainly, the ones I”ve tried have been terrific. 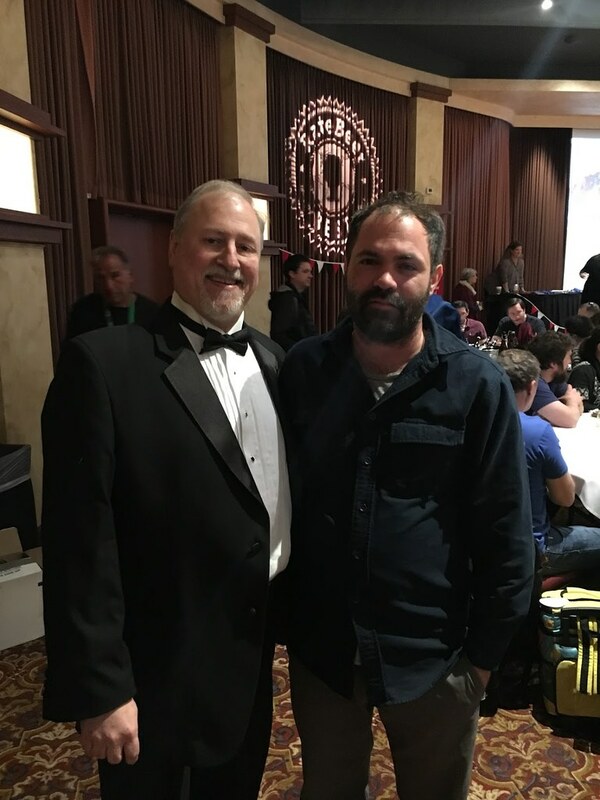 I first met Shaun when he was visiting Russian River Brewing a couple of years ago and again at the last two Rate Beer Best events here in Sonoma County, and it’s been great fun getting to know him a little bit. Join me in wishing Shaun a very happy birthday. At this year’s Rate Beer Best Awards dinner. At Rate Beer Best’s first beer festival in 2016. Jim Koch, the founder of Boston Beer Co., known primarily for their Samuel Adams beers, is celebrating his 69th birthday today. Jim was instrumental, of course, in spreading the word about craft beer, especially in the early days when Samuel Adams was often the first one to be available in many pockets of the country. Join me in wishing Jim a very happy birthday. Daniel Bradford and Amy Dalton, both with All About Beer, sandwiching Jim Koch, and flanked by drinks writer Rick Lyke, who writes online at Lyke 2 Drink. 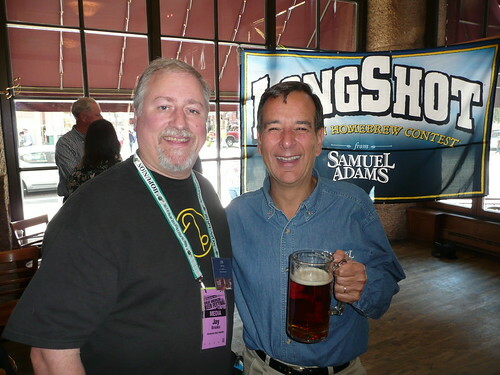 Jim and me at the annual media brunch and Longshot winner announcement at GABF in 2009. 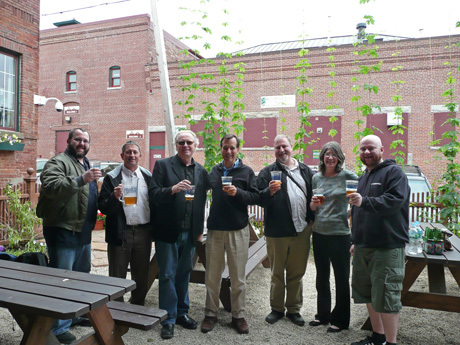 After judging the finals for the Longshot Homebrew Competition in Boston. From left: Jason Alstrom (from Beer Advocate), Tony Forder (from Ale Street News), Bob Townsend (a food & drinks columnist for the Atlanta Journal-Constitution), Jim Koch (founder of the Boston Beer Co.), yours truly (on assignment for Celebrator Beer News), Julie Johnson (from All About Beer magazine), and Todd Alstrom (also from Beer Advocate). 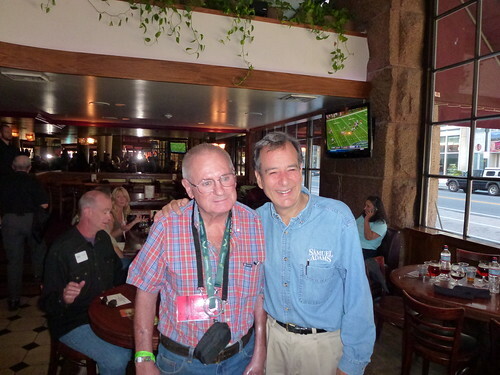 Jack McAuliffe and Jim at Boston Beer’s annual media brunch during GABF week four years ago.